The rising cost of long-term care for seniors, combined with rising real estate prices, are making multi-generational co-ownership of a shared family home an increasingly attractive proposition. In theory, everyone in the family benefits from a multi-generational living arrangement. Grandparents can downsize into a smaller, affordable living space in close proximity to their children and grandchildren. The grandparents gain proximity to a family support network that will help care for them in later years, perhaps forestalling the day when they are forced to consider a nursing home or some other form of long-term care. Younger family members also benefit when they share a dwelling with grandparents: help with looking after the grandchildren, an extra hand at mealtime, or help with financing the purchase of the young family’s first home. According to the Pew Research Center, over 64 million people live in “multi-generational households,” which Pew defines as either two or more adult generations living under one roof or grandparents living with grandchildren under age 25. The number of people living in multi-generational households has risen steadily since 1980. Today one in five U.S. residents live in a multi-generational household. However, multi-generational living arrangements require careful planning if they are to be successful. A good place to start is for everyone in the family to have a frank discussion regarding their expectations for the new living arrangement. Multi-generational living may not go smoothly if the grandparents are expecting to live somewhat independently while the younger family is counting on a live-in babysitter. In some areas of the country, zoning laws restrict the extent to which single-family homes can be modified to include a second kitchen or a separate entrance. 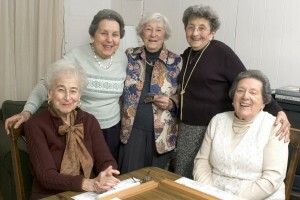 Even in communities that permit separate, apartment-like spaces within a single residence, zoning rules will carefully define acceptable “accessory dwellings” and “caregiver suites.” If the family’s plans for their multi-generational household include creating functionally separate living spaces for each generation, local zoning rules should be consulted prior to purchase of the family’s new dwelling. Ownership: Will the parties own as joint tenants, tenants in common, or live together under a landlord-tenant arrangement? Who is responsible for paying the mortgage and other expenses incidental to home ownership? Who has authority to sell the home, or borrow against the home? If one co-owner decides to leave, how will the family compensate that person? How will the family make important decisions regarding the home (decorating, acquisition of furniture, repair and remodeling)? What happens to a family member’s interest in the home in the event of a divorce? What happens if a family member dies, becomes disabled, or files for bankruptcy? What happens if one of the owners causes damage to the property? What happens if an older family member wants to qualify for Medicare and move to a long-term care facility? What happens if one of the owners fails to pay his or her share of the mortgage or maintenance costs? How will proceeds from the sale of the property be apportioned among family members? These questions must be answered by anyone considering the establishment of a multi-generational household. 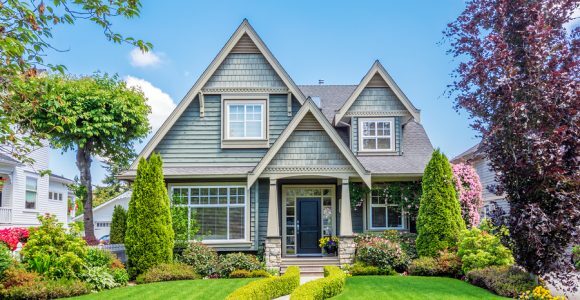 At the risk of stating the obvious, the easiest time to reach agreement is before purchase of the multi-generational dwelling. Don’t assume that harmonious relations at the outset will last forever. However these questions are answered, the family’s decisions must be reduced to writing. Not only is it a good idea to put all important agreements in writing but, in the case of real estate transactions, New York courts may not enforce unwritten agreements. It’s also not a bad idea to specify that disputes over the parties’ agreement be arbitrated or mediated instead of a formal judicial proceeding. Finally, a word of advice: families considering multi-generational living arrangements should seek professional advice and seek it early. Real estate acquisition for the purpose of setting up a multi-generational household is an area in which obtaining the advice of experienced estate planning attorneys can save families thousands of dollars and spare them the anguish caused by strained family relations. The best way to promote harmony and ensure the success of a multi-generational household is to create an ownership structure that is fair to all, flexible in the event of unforeseen occurrences, and financially sound from a tax and estate planning standpoint.